Two Keremeos men are facing charges related to motor vehicle thefts in the area. Charged with theft of a motor vehicle and possession of stolen property stemming from an incident on August 24 are David Kenneth Fitzpatrick, 32, and Rajan Sahota, 38. Princeton RCMP arrested the two men last Wednesday after receiving a report from the Keremeos detachment that a car was stolen and was driving towards Hedley. According to Sergeant Barry Kennedy the vehicle, a red Ford Fusion, was spotted near Bromley Rock, heading for Princeton. “Police deployed two spike belts on Highway 3 about 11 kilometers east of Princeton,” said Kennedy. After the car lost its tire, the two men abandoned the car and began walking towards town, said Kennedy. 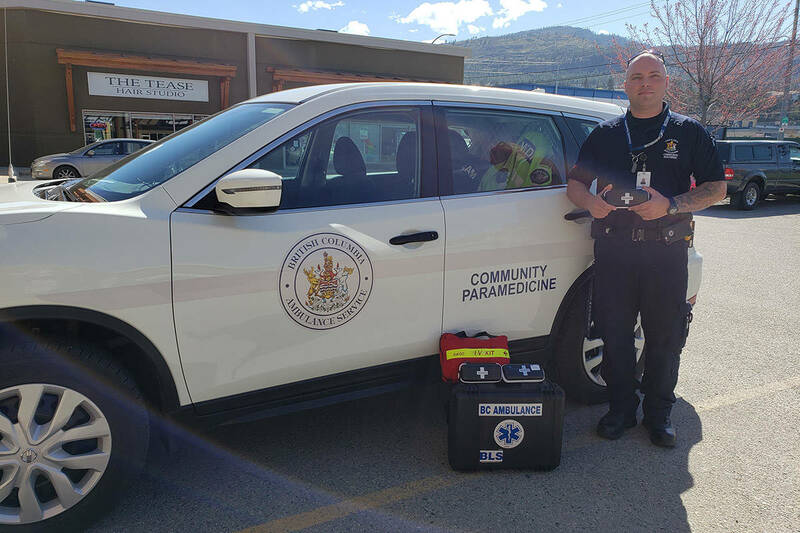 A police dog later led police to a can of bear spray, gloves, a backpack containing tools used for breaking into vehicles and a small quantity drugs. With the recent arrests, Princeton police are confident they have cracked the ring of thieves responsible for a recent spate of off road vehicle thefts in that community. Kennedy say further investigation linked Fitzpatrick and Sahota to ATV and other off road vehicle thefts in Princeton. In the past month eight vehicles were stolen from local properties. The pair appeared in Penticton court last week and they are being held in custody. Further charges are pending, said Kennedy.